In ancient days, our forefathers, the Rishis of Aryavarta, went to the forest to do tapasya during the four months following Vyasa Purnima, the full-moon day of Asadha particularly important day in the Hindu calendar. 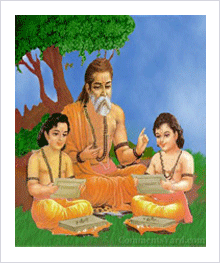 On this memorable day, Vyasa, an incarnation of Lord Vishnu Himself, began to write his Brahma Sutras. Caturmasya begins from the Vyasa Purnima Day when, according to our Shastras, we are expected to worship Vyasa and the Brahmavidya Gurus and begin the study of the Brahma Sutras and other ancient books on 'wisdom'. Valmiki is also known as Adi Kavi or the first poet because it was he who composed the first verse or sloka which set the foundation for Sanskrit poetry. The story of Lord Rama written by him is called Valmiki's Ramayana and is the first epic of Sanskrit literature. Ramayana is also the first kavya. In order to honour his unparalleled contribution in the form timeless epic Ramayana, Valmiki's birth anniversary, Asvayuja Purnima, is celebrated as Valmiki Jayanti. This day is to remember a great saint who rose above his limitations and through his teachings encouraged people to stand against social injustice and to remember a man who personifies benevolence and penance. 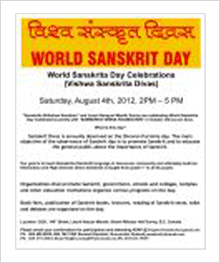 Sanskrit is one of the oldest languages of the world. 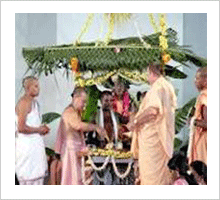 It is the key to understanding the rich heritage of India and its ancient times. It is also the language of Yoga that is now popular across the globe. World Sanskrit Day (full moon day in the lunar month of Srava?a, occuring in August or early September) is observed to recognize the richness and antiquity of Sanskrit language, which is still relevant even today. Every year in the month of November the popular Kalidas Festival is celebrated at Nagpur to memorize the great Sanskrit poet Kalidas and his fabulous work in the field of poetry. The two days - nights fun filled musical and dance extravaganza is organized by Maharashtra Tour ism Development Corporation (MTDC) and Collector Office of Nagpur, in association with Nagpur Municipal Corporation. 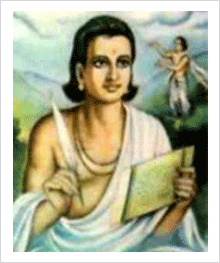 Some of the popular literary compositions of Kalidas are Abhijnanasakuntalam', 'Meghadootham', 'Raghuvamsam' and Kumarasambhavam', which contributed in enriching the Indian Literature.